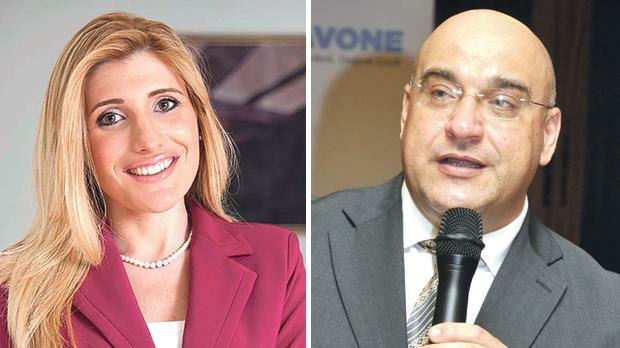 The most generous interpretation that one could give of the meeting of Kristy Debono and Hermann Schiavone with Yorgen Fenech is that the two MPs were naϊve in the extreme. Thumbs up for the front page story carried by this paper last Sunday revealing the meeting of two Nationalists MPs, Kristy Debono and Hermann Schiavone, with Yorgen Fenech, the owner of the shady company 17 Black. He is also, among many other things, the executive director of the Tumas Group and a director of Electrogas which won the bid to run our power station. We were told that the meeting was to inquire about a possible sponsorship for a conference. Many times journalistic stories are followed by a lot of noise and very little action. I could mention the Panama Papers, the Café Premier scandal, the dubious contract given to a cleaning company at St Vincent de Paul Residence for the elderly, the revelation that a senior official accused by the Auditor General of collusion in the Gaffarena case has been reinstated. These are just four of a plethora of examples. So kudos to the journalists of Times of Malta as their story led to action. Schiavone suspended himself from the Parliamentary Group of the Nationalist Party. He said in a statement that the meeting was scheduled to be held with a different director of the group but was informed at the last moment that the meeting would be with Fenech. Debono, on the other hand, said that she did not know that they were meeting Fenech, as she was not informed that plans were changed. She publicly apologised for her “error of judgement”. The most generous interpretation that one could give of the two MPs is that they were naïve in the extreme. If the version of events described by Schiavone is the correct one (and there is nothing which suggests that it is not) then one cannot exclude that Fenech purposely met them himself instead of the other director. MPs who let themselves be duped in such a way are not the kind of politicians we need in Parliament. But, in truth, comparing this meeting to the pre-2013 general election deals on the notorious fourth floor of the Ċentru Nazzjonali Laburista is stretching the argument beyond the absurd. And placing this meeting at the same level of the Panama shenanigans is, quite simply, ridiculous. The reflection I wish to propose in this commentary is not about the political dimension of what happened but about its journalistic dimension. Journalism is probably being sponsored by Fenech more than the MPs in question were going to be sponsored for the hall. In my commentary I wrote that the media should now distance itself from the Tumas Fenech Foundation for Education in Journalism which is run by money from the Tumas Group. I also strongly criticised the presence of the chair of the Institute of Maltese on the Board of the Foundation. Unfortunately the IMJ still participates in the foundation which is financed by the Tumas Group, the executive director of which is the owner of 17 Black, and which is benefitting greatly from the dubious contract won by Electrogas. The institute took this decision because the Tumas Group does not interfere in the work of the foundation and because journalists can still write what they want to write. Again, I exclaim, quel naiveté. Was Fenech going to interfere in the speeches at the conference that Schiavone/Debono asked a sponsorship for? Obviously not, for he is far from naïve. The objection is not about interference in content but about giving credibility. The presence of the IMG in the foundation gives much more credibility to the Tumas Group/17 Black than the association with two MPs. Since, thanks to the investigation of Times of Malta and Reuters, we now know how the group makes some of its profits, it is unacceptable for journalists to participate in its foundation. I am not holding my breath that the institute does the honourable thing and withdraws. The institute and its predecessor – The Malta Press Club – has a number of other inglorious firsts. It is probably the only professional organisation of journalists which included in its governing board members who during their tenure were not employed as journalists but as public relations officers. There was at least another first. When a committee member was strongly censured by its own ethical board, the committee said that this was not a resigning matter. It seems that the institute believes that what is good for the political geese is not good for the journalistic gander. We journalists scandalise ourselves that there is no culture of resignation among politicians whereas this culture is present more among politicians than among journalists! Perhaps this is the reason why according to the latest results of the Eurobarometer survey the Maltese trust more the political parties than the written press. In addition, the problems with the institute are only a slight reflection of some of the problems inherent in Maltese journalism. The strong presence of the political establishment in our media landscape gives rise to several of the problems. I am not, in principle, against the ownership of different media outlets by the political parties as there can be a legitimate place for political advocacy journalism. What I am against is the dumbing down of the political party-owned media into crass propaganda machines which thrive on misrepresentations, selective editing and downright lies. While lambasting the political establishment is fashionable and to a certain extent justifiable I don’t think that we consider enough the connections and possible undue pressure, trading in influence and downright self-censorship by the business establishment on local journalism. Such pressure happens in every country and it would be worse than naïve to believe that it does not happen in Malta as well. There are two big problems. A big chunk of audiences prefer the tripe on Facebook than solid journalism. Besides there is a dearth of esprit de corps among journalists. We have not even succeeded in agreeing on an updated version of the Code of Ethics. The silver lining is that today journalists have less deference for politicians and others in authority while journalistic investigations (and some very risky ones) are more common nowadays. Therefore it is legitimate to cautiously hope in a journalistic spring which will hopefully result in people trusting the print media more than they trust the political parties.